There were bubbles of excitement as I stepped into ClearSK Medi-Aesthetics Flagship Outlet at Scotts Medical Centre. Something is definitely sizzling! 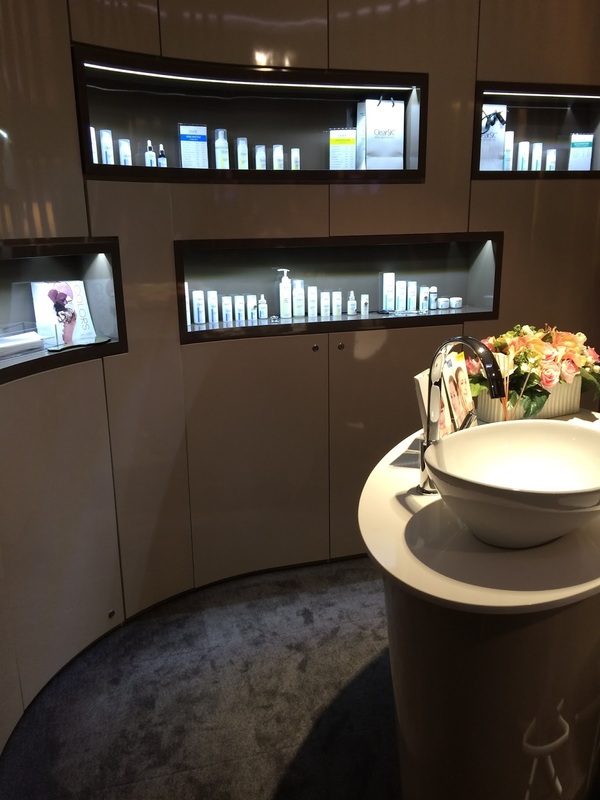 I was there to attend a media preview of their new and upcoming treatments. This includes their DrShape 3D Body/Face Shaper which I’ve personally went through and witnessed amazing results! Read about my post here. The other treatment is Dr.Eyes, a non-surgical eye bag removal treatment that requires no downtime. Dr Shiau Ee Leng, who is the founder of ClearSK, shared with us more about the current technology involved in these two treatments and also brought us around to view the treatment rooms. Each treatment is furnished with a cushioned seat so that your spouse, friends or family members could sit and wait for you while you have your treatment done. There’s also a photo studio room to take before and after shots during your treatment process. There’s also an area where customers can test out ClearSK skincare products and find out more about them through their own consultants. I particularly like their new Sunshield SPF50 which contains advanced filters for UV invisible light protection addd with UVA and UVB protection. The other signature product they have is their Lazer White lotion which can be used as a moisturizer to moisturize the skin. It contains antioxidants to help prevent environmental and oxidative damage to the skin. Not to mention that they also have this cool vanity area for you to touch up your makeup or style your hair after your treatment should you have an important event or date to attend right after. Sweet treats for the evening. I also have the opportunity ClearSK Eye Glow treatment which uses light heat energy treatments to treat eye bags and dark circles. This non-invasive and non-abrasive treatment can also be targeted at other areas of your skin to promote collagen renewal will help re-establish that youthful glow to your skin. As the LHE (light-heat energy) device is shone onto your skin, there will be a build-up of heat that causes mild flushing and warm sensation as each pulse of light is being administered.The flashes can be rather blinding but your eyes will be shielded with a eye-protective goggles. And as the photo-thermal energy reaches into the skin, collagen is stimulated and helps smoothen out the skin. This ClearSK Eye Glow treatment also includes a Radio Frequency treatment to tighten and smoothen of the skin around your eye area, followed by eye massage with ClearSK Award-winning Laser Tight Repair Serum for eyes and a moisturizing eye mask. Talking about a comprehensive eye treatment here! The whole process takes about 45 minutes. 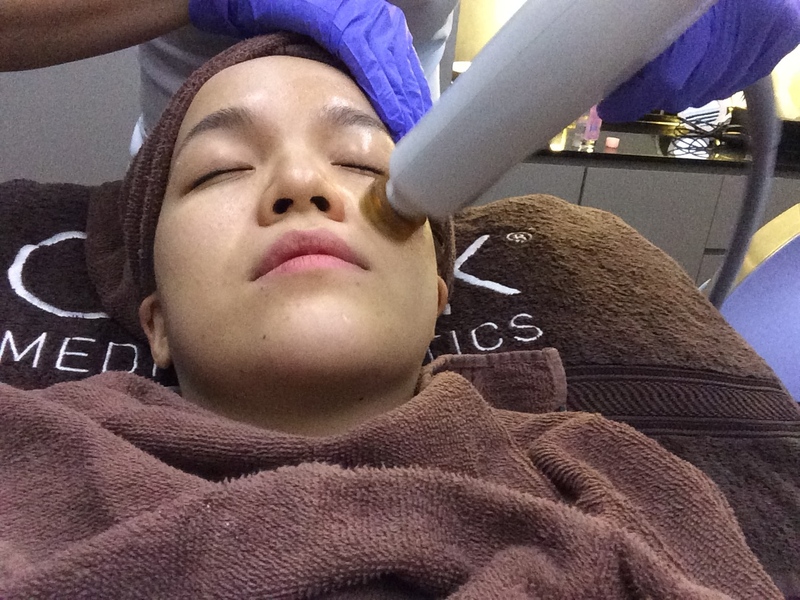 After the treatment, I felt that my eyes were more lifted as the skin around the area become tighter and firmer. There wasn’t much of a lightening effect in the dark eye circles as more sessions will be required to witness a more obvious result but my eyes felt more refreshed and awakened. Try it for yourself ! First time customers get to enjoy this treatment at $68 only.